The lowcut edition of the Nike LeBron X is often criticized for the cost-saving approach applied to it, but this notion will surely be thrown out of the picture once the upcoming colorway of the model hits the market. 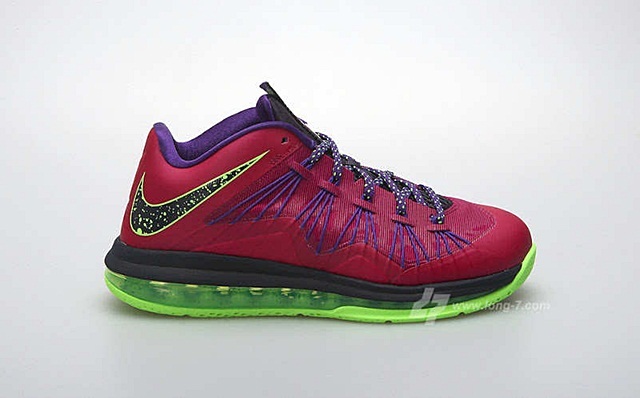 The Nike LeBron X Low will be available in Raspberry Red/Court Purple-Flash Lime colorway starting September 7th. Dubbed as the “Raspberry” edition, this sneaker will surely be a huge hit once it is released based on the noise that it is currently creating after Nike announced this kick. Watch out for this shoe and we will also keep you updated.